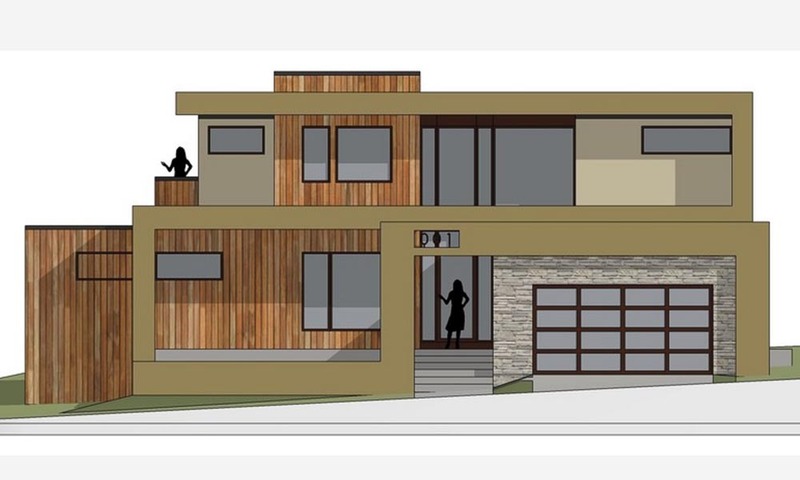 We took on our first project in Marin County for a developer client with a predilection for contemporary architecture. 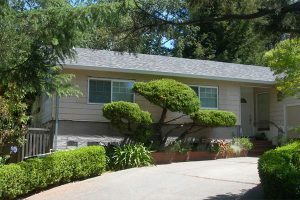 Having purchased a 1950’s ranch home on a corner lot in the leafy town of Kentfield, our client gave us the assignment of transforming the floor plan and exterior of the house by way of a 2nd floor addition. 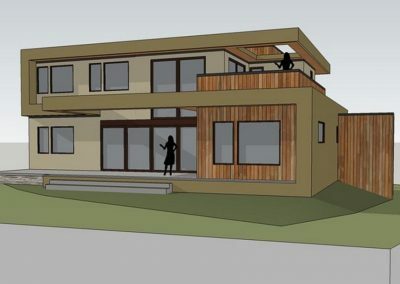 The two levels are tied together by means of an architectural “ribbon” which creates by turns, an entry portal, front courtyard, covered balconies, and integral planter boxes. 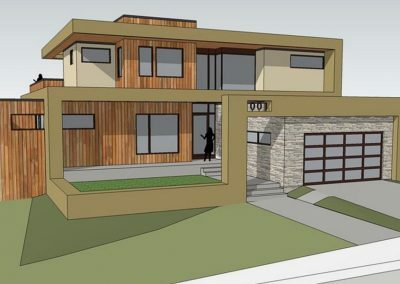 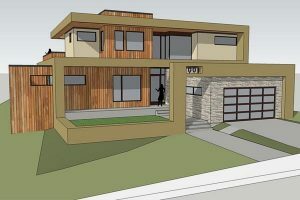 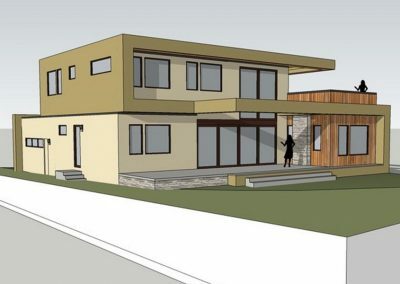 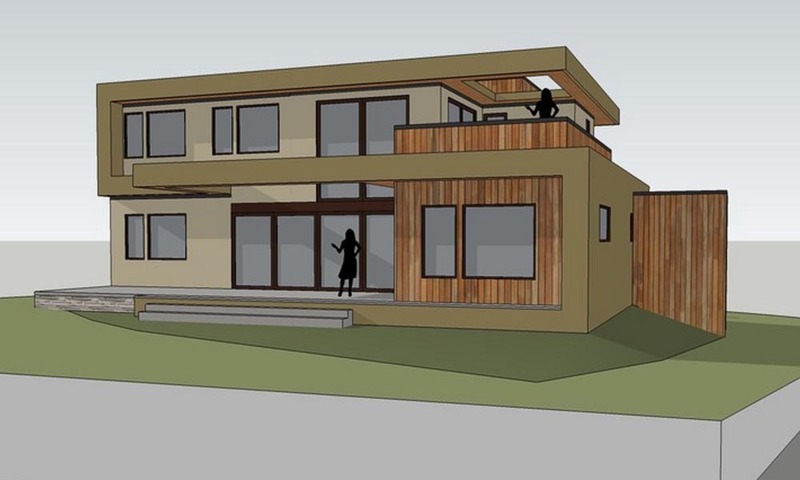 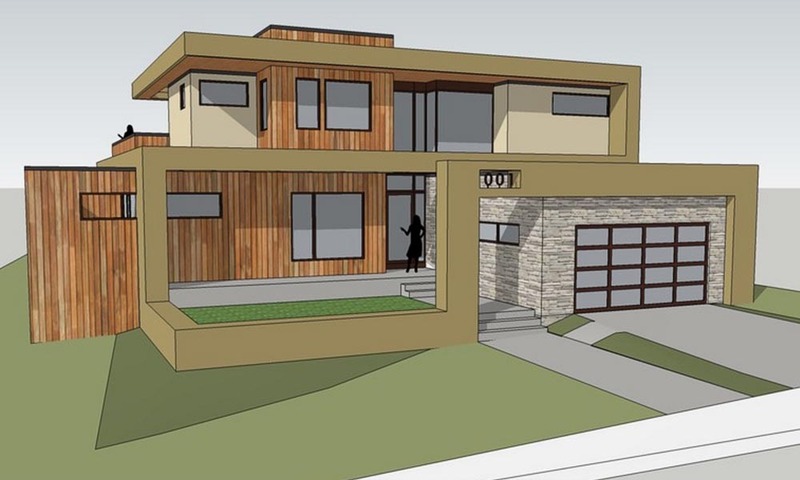 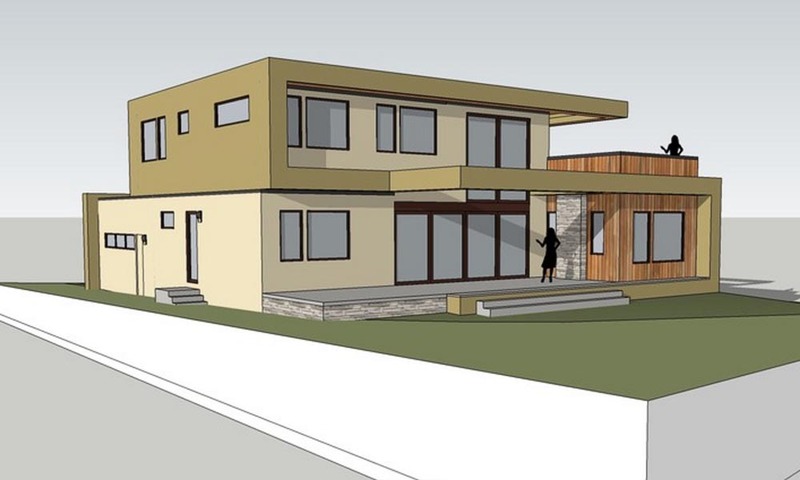 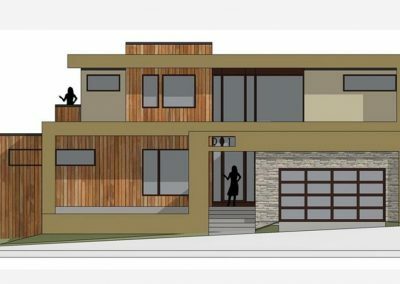 Our client sold her lot with our approved design to a subsequent developer, who retained our floor plan, but unfortunately stripped away the unique exterior design aspects of the project in an effort to save costs.